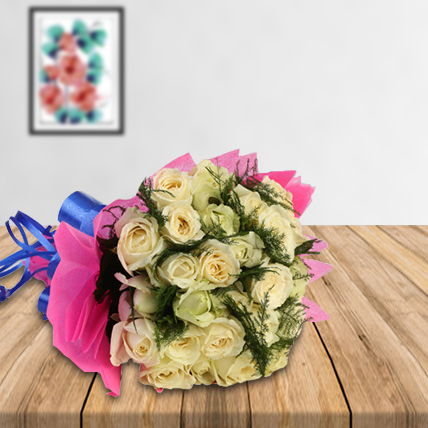 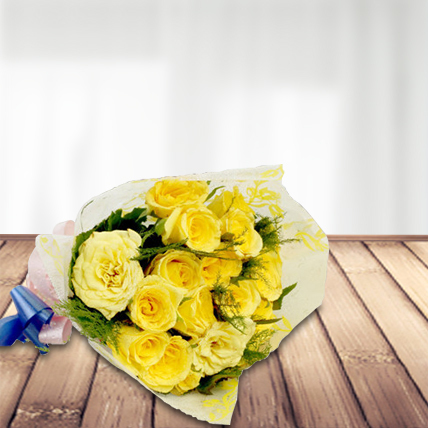 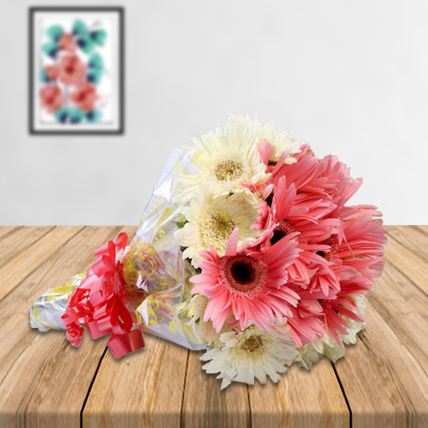 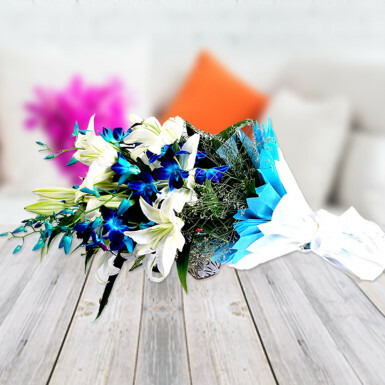 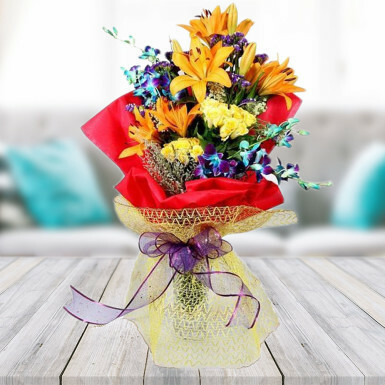 Bursting with colour, the bouquet is a vibrant mix of ornage and yellow blooms, a perfect gift for someone special. 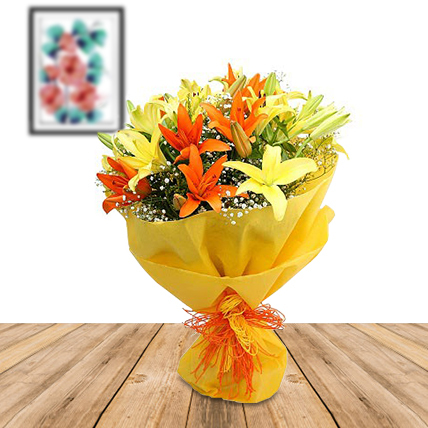 Make their day with this bunch of 8 yellow and orange asiatic lillies with lots of gypsys. 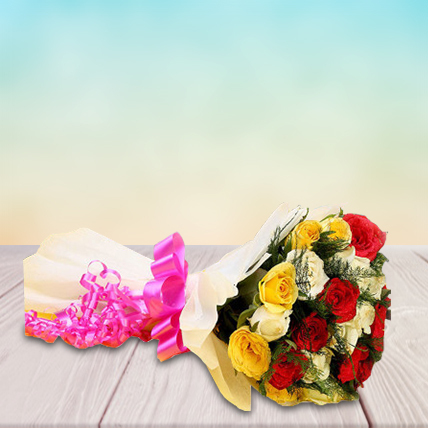 Thanks, Flowerscakesonline, made my day.